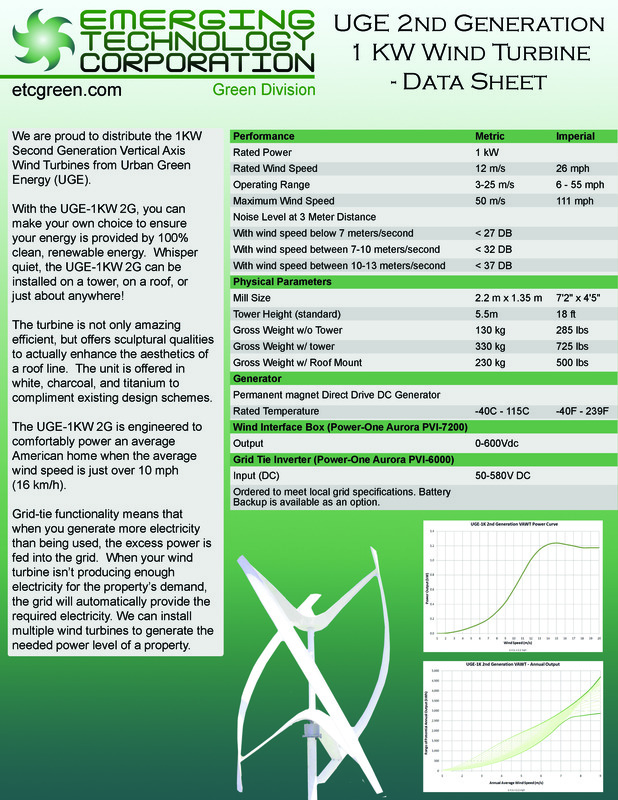 We are proud to distribute the 1KW Second Generation Vertical Axis Wind Turbines from Urban Green Energy (UGE). 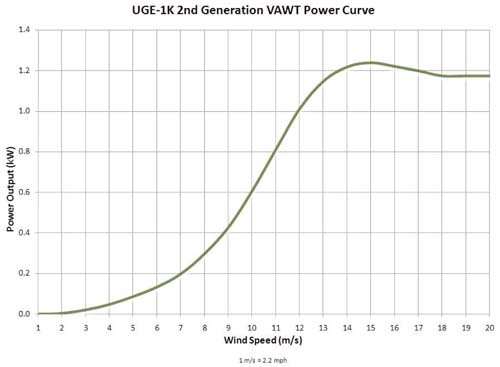 With the UGE-1KW 2G, you can make your own choice to ensure your energy is provided by 100% clean, renewable energy. 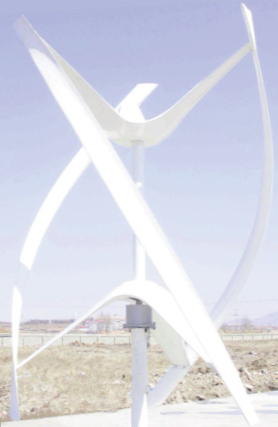 Whisper quiet, the UGE-1KW 2G can be installed on a tower or on a roof. 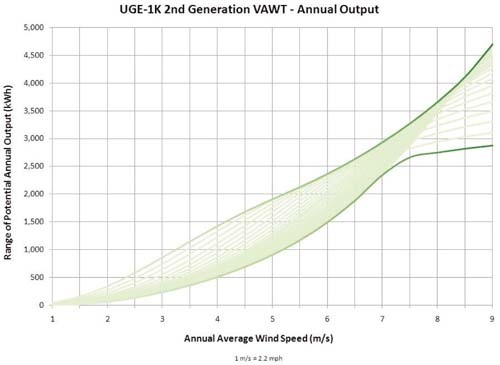 The UGE-1KW 2G is engineered to comfortably power an average condominium when the average wind speed is just over 10 mph (16 km/h).